99.2 g. | 3.5 oz. 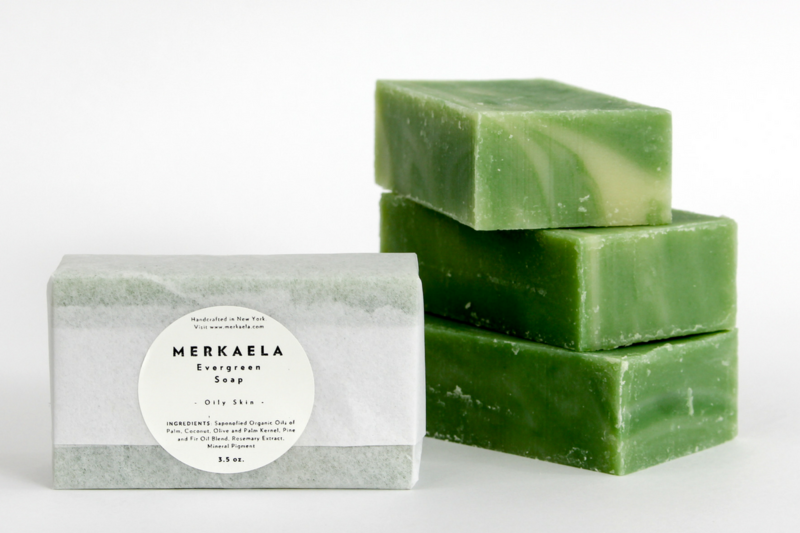 The Evergreen Soap is made up of a highly nourishing blend of luxurious butters and essential oils. The uplifting scents of Pine and Frankincense are both recharging and relaxing, making the soap ideal for use in the morning or before bed. Pine is notorious for providing stress relief and mental clarity, while frankincense eases you into to your spiritual practice. Directions: We suggest thinking about your perfect day as you lather and rinse. While you inhale the pleasant scents, go over your affirmations and prepare to accomplish your goals. Ingredients: Saponified organic oils of Coconut, Palm and Olive. Pine essential oil, frankincense essential oil, rosemary extract preservative and mineral Pigment.